Berkeley-Haas appreciates veterans, and we take pride in our veteran MBA and undergraduate communities. With hundreds of veterans having graduated from Berkeley MBA programs, we’ve been able to create a community that can offer support and encouragement to military MBA students during their studies and beyond. We thank those who serve and we celebrate our student veterans—and all they bring to Berkeley-Haas—with this slide show. It's our honor to help veterans take their leadership skills and experience into the business world, and we invite you to learn more about what veterans at Berkeley-Haas find in our Evening & Weekend, Full-time, and MBA for Executives programs. Wondering which of these Berkeley MBA programs might be best for you? Compare, and find out. They are one of the most important ways in which we get to know you and a popular subject for MBA application tips. Get 90 women in a room together after work and it’s going to be lively. But get 90 women MBA students and alumnae together and the energy level is sky-high. 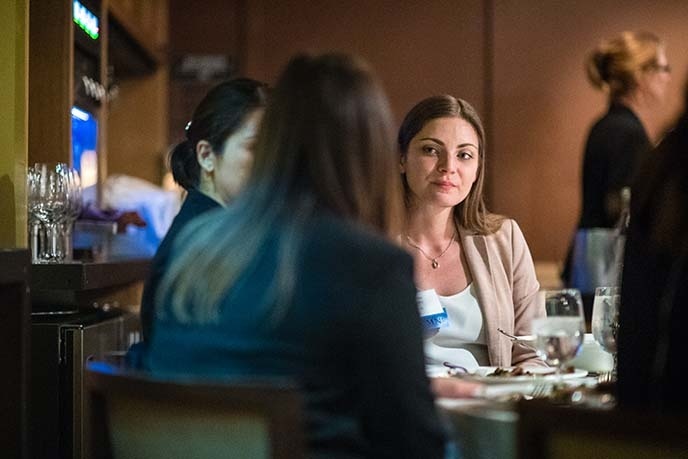 Such was the atmosphere at the annual Women@Haas Networking Dinner held on November 17 at One Market Restaurant in San Francisco. Students, alumnae, prospective students, faculty, and staff came from as far away as New York and Washington, D.C., to network, reminisce, bond, and exchange thoughts on careers, families, and their connection to Berkeley’s part-time MBA programs for working professionals: the Evening & Weekend Berkeley MBA Program and the Berkeley MBA for Executives Program. After cocktails and appetizers but before the formal program, guests stood and introduced themselves, table by table, exuding confidence, ambition, and enthusiasm. They represented every industry from government to finance to tech to social media. 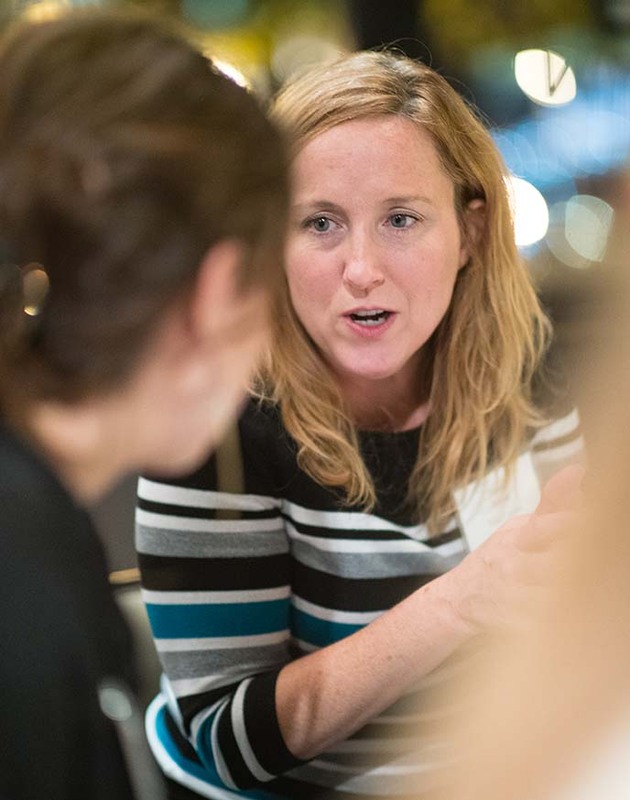 Next, keynote speaker Eileen Treanor talked about her ambition to become a chief financial officer and how her 2014 EWMBA paved the way for her to become CFO of Lever, a San Francisco-based SAAS company providing talent acquisition software, and with a staff reflecting 50/50 gender balance. Over steelhead trout and beef short ribs, the networking resumed. Prospective students grilled current students about the admissions process. Current students asked alumnae about the ROI of their degrees. And graduates talked among themselves about career switching and advancement. “It’s important to put us all in a room together to have this shared experience, to talk about what we’ve accomplished and what we’re still trying to do. Every conversation ended with a variation of the phrase “Feel free to email me” or “here’s my card.” One could almost see career trajectories being redirected over the candle-lit tablecloths. 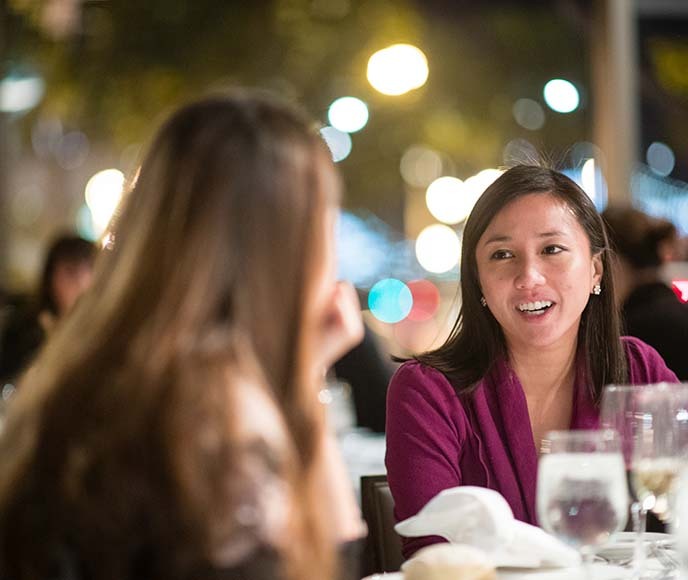 We spoke with three Berkeley-Haas alumnae who have each attended this dinner at least twice to find out why they find the event valuable and what’s special about Haas women. In all three Berkeley MBA programs, you'll find an inclusive community of students. To learn more, compare our programs. Students in our top-ranked part-time MBA program come from everywhere—in terms of geography, field of work, cultural background—and they are going all kinds of places, leveraging studies in the Evening & Weekend Berkeley MBA program to advance in their current companies or fields, make career changes, and launch ventures. These evening and weekend MBA students do an extraordinary job of balancing work and family with their studies (not to mention friends, pets, athletic pursuits, volunteer work, and more). What makes this possible? They'll tell you it's the culture at Berkeley-Haas, with its four Defining Principles, and the support they enjoy from their peers and the program office. Here is a by-the-numbers look at the EWMBA class of 2019.
about her career for Part V of this series. What did you do prior to pursuing your MBA? I was a graphics software engineer at Intel leading development of Intel video processing graphics drivers on Apple products. 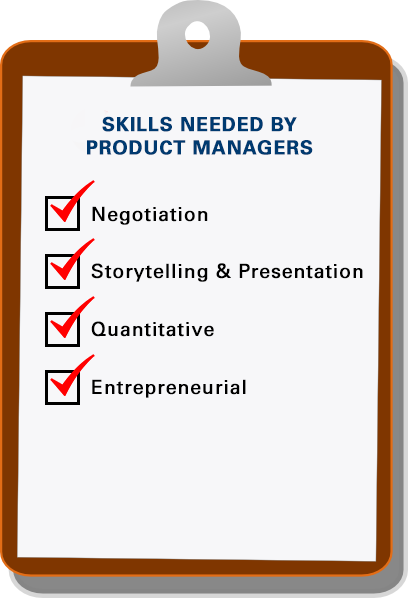 Why did you want to work in product management? Technology has been my passion since I was a young girl. Having worked in a purely technical capacity as a software engineer for a long time, I realized I was not making as big an impact as I would like to. By talking to product managers in my network, I began to view a product manager as the CEO of a specific product, managing it from concept to launch, taking into consideration all aspects of its development and marketing activities. Being in product management I could look at the bigger picture and make a meaningful impact. I loved the idea of combining my technical background with my newly acquired business acumen to bring life into products that could change peoples’ lives. What are your current responsibilities as a product manager? with marketing, legal and customer experience teams the launch. with them. This helps me lead my teams to deliver the best products. How has earning an MBA been helpful in landing a position and working in product management? Berkeley MBA curriculum addresses both. Courses like Marketing Research, Strategic Brand Management, Pricing, and Design Thinking greatly improved my product management skills. Power & Politics and Leadership are examples of classes that honed my people skills. Class projects at Haas offered me opportunities to work with team members of different skills and perspectives. More often than not, they were culturally diverse too. These experiences prepped me to work better with geo-diverse and cross-functional teams. My networks at Haas were invaluable in helping shape my decision to be a product manager and they opened up doors to new avenues. Do you recommend an MBA to people interested in product management? people skills. And there are so many other valuable resources at Berkeley Haas: on-campus recruiting, the Career Management Group, student clubs and the Haas Alumni Network are to name just a few. 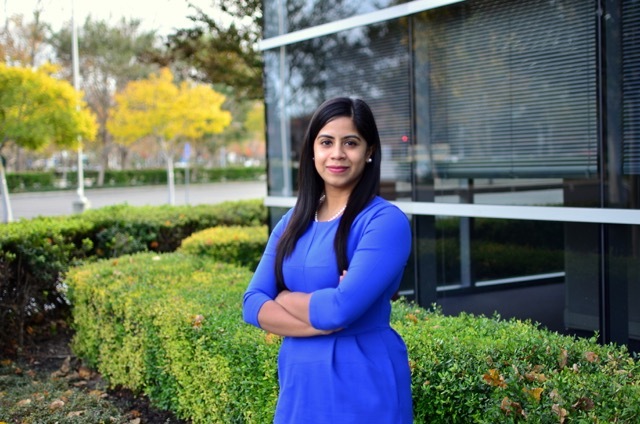 Want to learn more about the MBA program that's helped Kavya with her career in product management? Learn more about the Evening & Weekend Berkeley MBA Program. Are you thinking it might be time for a new job? We've got tips from the MBA career coaches at Berkeley-Haas on managing your career in pursuit of more meaningful work, along with questions to ask yourself—all in our new free ebook. You've probably heard that timing is everything. And it's true that when it comes to many decisions in life, whether it's to get married, buy a house, get your MBA, or pursue more meaningful work—timing is an important factor.But relying on this old axiom isn't enough when it comes to career management—you've got to dig a little deeper to determine whether the time is right. Fortunately, you don't have to leave this to a gut feeling; you can ask yourself the right questions, evaluate your current position thoughtfully, or speak with an advisor, like those in the Career Management Group who support Berkeley MBA students. Here are a few tips on deciding if it's time to make your move. 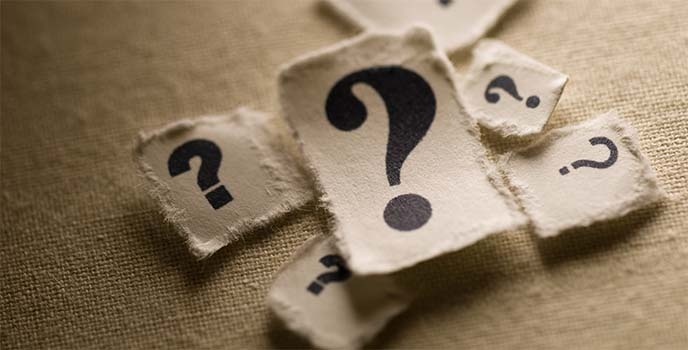 To gain some meaningful insight on whether you're happy, challenged, and fulfilled in your current job, it's important to ask yourself pointed questions, like "What do I love most about my job?" and "What do I take the most pride in in my role?" If what you love most about your job is your lunch break, or the occasional free baked goods, it's probably time to consider a change. Take all the ingredients of your office or organization and consider how satisfied you are with them. The important ones, like your boss and your coworkers, should rate high on your satisfaction scale. If the high point of your environment is the office patio, that should be a red flag. While most people aspire to move up in their companies, it's also important to reflect on the growth you've experienced thus far. Have you been given more responsibility throughout your tenure? Do your current projects challenge you? Have you been able to explore topics that genuinely interest you? Don't stay in a role that's not challenging you, helping you grow, or letting you explore different interests. This is an important step for a few reasons: assessing what you enjoy about your position will give you something to focus on until you're able to leave, and it will help you depart on a good note. Plus, when you determine what you don't like about your current job, you'll know what you don't want to repeat in a new role. There are plenty of ways to approach career management effectively, and you can find all of them in the Berkeley MBA free ebook, Finding More Meaningful Work: Five Steps to Making Your Next Move. He earned a Master’s in Computer Science and holds five patents. He then earned his graduate business degree at night, while working at Apple and studying in the part-time MBA program at Berkeley-Haas. 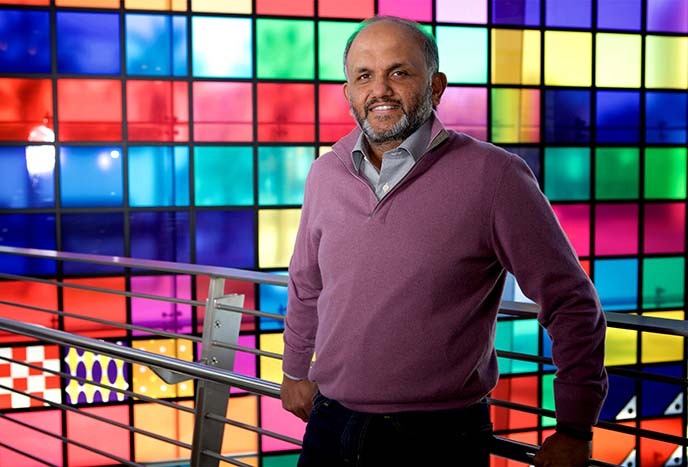 "It was clear I needed to round out some of my entrepreneurial genes with a business education," says Shantanu Narayen. He joined Adobe in 1998, becoming president and COO in 2005 and CEO in 2007. In 2016, he was named one of the world’s best CEOs by Barron’s Magazine. >He believes that preserving the status quo is not a winning strategy. With Shantanu Narayen at the helm, Adobe—a name once synonymous with desktop publishing—has become a giant in the world of cloud-based services for content creators and marketers of all stripes. Under his leadership, the San Jose, Calif.-based company has built a formidable culture of innovation, expanded into new markets, and extended its product portfolio and global reach. He not only questions the status quo, but believes in surrounding himself with people who are smarter than he is. “It’s about finding people who have that confidence without attitude, team players who will challenge and bring out the best in you as a leader and in each other,” he says. “To create new businesses and drive growth, you need to have a leader who wakes up wanting to make an impact,” says Shantanu. More than 90 percent of the world’s creative professionals use Photoshop. Adobe Creative Cloud mobile apps have been downloaded over 150 million times. More than two-thirds of Fortune 50 companies use Adobe Marketing Cloud. In 2016, the company was named the #1 computer software company on Fortune’s list of the world's most admired companies and made Forbes’ list of world’s most innovative companies. Shantanu Narayen saw that merging technical skills with Berkeley MBA business knowledge would prepare him for greater and greater responsibility and better position him to lead innovation. What will you lead? Find out how our evening and weekend MBA Program could help you get there. Like all big decisions in life, making a career change in pursuit of more meaningful work can give you a whole spectrum of feelings—it can make you question your direction, make you nervous about actually taking the leap, or make you feel antsy to finally take the first step. But what are the right steps in career management? Once you've decided now is the time, how do you approach the conversation with your boss, or set yourself up for success in your search for a new role? If you're looking for some guidance on effective career management, the career advisors at UC Berkeley’s Haas School of Business can help you navigate the gray area between an old and new position; check out some helpful highlights below from the Berkeley MBA free ebook, Finding More Meaningful Work: Five Steps to Making Your Next Move. 1. Reflect on your own skill set and what you have to offer. Changing careers is a great time for self-reflection. Look ahead at the roles you're interested in—or, perhaps more broadly, the fields you're interested in—to consider how you'll be prepared for that new position. Think about the skills you've gained from the job you're leaving and how they can add value to the one you're pursuing. 2. Decide what's non-negotiable for you in the next position. People change careers for many reasons—perhaps you're unhappy with your boss or feel stuck in your current role. Whatever your reason, take this time to assess why you're not fulfilled. This will help you also determine what you do want in your new role. There are plenty of constructive ways to approach career management and start the process of landing your dream job. Find more tips in our free ebook Finding More Meaningful Work: Five Steps Toward Making Your Next Career Move. You've probably heard people say that there is no magic formula for success; however, there is one component that most successful endeavors have in common: timing. The ability to choose precisely the right moment to act on an idea is essential. This fact can be applied to everything from comedy and cooking to entrepreneurial startups and investments. Timing is also important when it comes to your education. If you are thinking about applying to business school, the timing must be right, as the free Berkeley MBA ebook Five Signs You're Ready for an MBA points out. MBA program admissions are increasingly competitive. If you apply at the wrong time, your candidacy may not be strong enough to clearly demonstrate what you can contribute to an MBA classroom. That mistake could keep you out of business school. There are also investment factors to consider. With tuition costs exceeding $110,000 at top business schools, the financial investment required to earn an MBA is significant. The time investment required to succeed in a rigorous academic program is also extensive, particularly if you hope to successfully balance program requirements with other obligations like work or family. The point is that it is very easy to focus on the rewards of an MBA program (and there are quite a few), but applying to a business school such as Berkeley-Haas is a serious decision. Submitting your application at the right time will make it much easier to succeed in the admissions process, in the classroom, and in your post-graduation career. Is the time right for you? Find out before you apply to business school. For many applicants to top part-time MBA programs, gearing up to take the GMAT or GRE can be a nerve-wracking part of the admissions process. We get it—it may have been awhile since you had to sit down and take a 3.5-hour exam, let alone study for one. Take a deep breath, and let this video message from Berkeley-Haas help you put the GMAT/GRE in perspective. You might also like our free ebook: Avoiding the GMAT/GRE Blues. Networking is not a numbers game—how many connections you have on LinkedIn or names in your contact list. Algorithms can only take you so far. It is about building productive relationships that deliver mutual value and grow stronger over time. 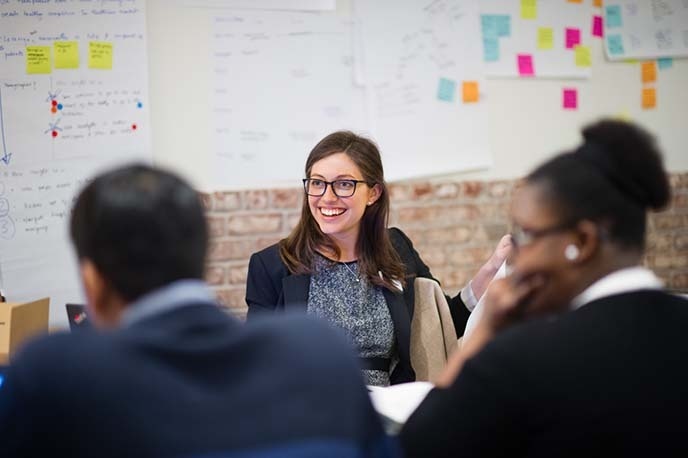 As Berkeley-Haas students seek out and retool themselves for more meaningful work, the Berkeley MBA Career Management Group coaches them on how to network for the best possible results. Networking opens a window into a new industry. It’s a way to figure out how one company (or one MBA program) differs from another. Good techniques include informational interviews and attending industry events. Just like the best time to find a new job is while you already have one, the best time to network is when you aren’t under any pressure to network. And, keep circling back to the people you network with. Find ways to refresh your networking relationships. We don’t mean by overpowering people with your 100-watt smile and sterling resume. People tend to remember someone with whom they’ve made a genuine connection. That connection can come from a shared experience or a well-placed question (and strong attention to the answer). This is related to “impress,” but it goes deeper. When you network, you want to give the other person something to think about that will put you “top of mind” when the time is right. That could be an insight on a topic of mutual interest, an article you email later on, or a tip on the best parking spot no one knows about. One way to to super-charge your network is by pursuing your MBA. 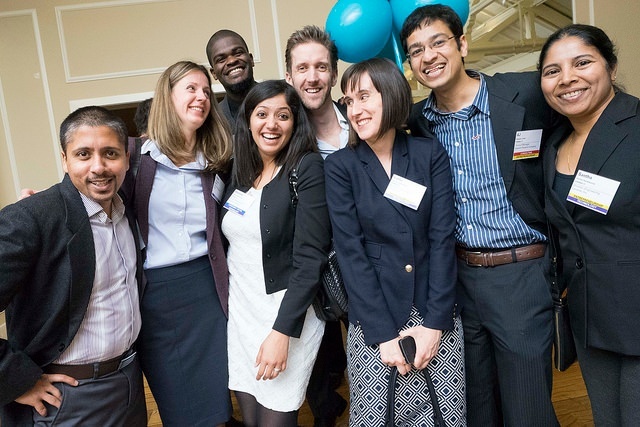 Did you know that all three Berkeley MBA Programs share the same strong alumni network? 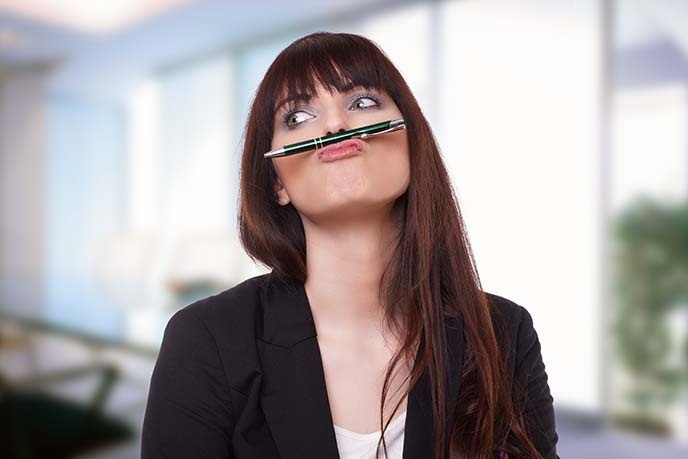 Deciding you're restless at work is one thing. Deciding what to do next? That's quite another. If you've got that general sense that work could be more fulfilling, but are not quite sure what to do from there, you'll first want to take stock of your values, contemplating what matters most to you and makes your heart sing. As you begin identifying the roles and companies that best align with your passions, your next step is to explore. In this highlight from our free ebook, Finding More Meaningful Work: Five Steps Toward Your Next Career Move, we share career management tips on launching your exploration. "Most importantly," says Berkeley MBA Career Advisor Luke Kreinberg, "Get in front of other people." Luke advises stepping away from email and meeting up with people in person for real-time conversations. "Talk to people who actually work in your field or position of interest to gain some insight on the reality of their days," says Luke. "Ask questions about what they enjoy and what they don't, and don't be afraid to ask for recommendations for other people to connect with." Want more insight from the career management professionals at Berkeley-Haas on finding more meaningful work ? Get the ebook. Part problem-solver, part storyteller, part trend analyst, and part entrepreneur, a product manager is part of putting The Next Big Thing in people's hands. To do so, they juggle competing priorities and call upon many of the skills gained in an MBA program. Berkeley-Haas alum Tim Gray has served as a product management industry specialist for the Berkeley MBA Career Management Group and has worked as a product manager (PM) for both startups and established companies, including Autodesk, BandPage, and Ask.com. He regularly speaks with Berkeley MBA students about how to shape their studies for a product management MBA. Understanding the diverse range of skills needed is key to determining if the role is right for you and how you should shape your time in an MBA program, according to Tim. One of the most important skills good PMs possess is the ability to negotiate. 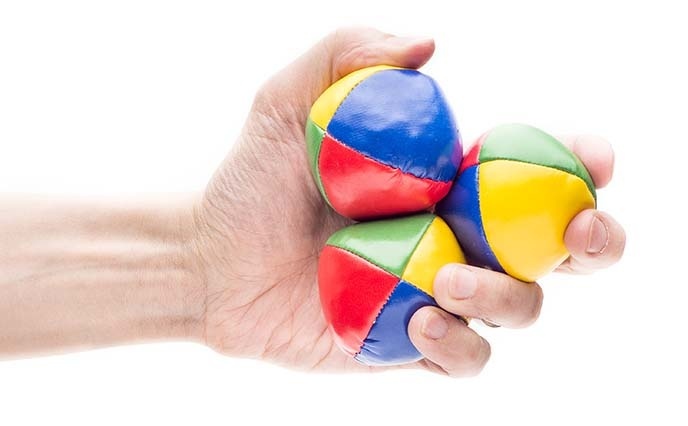 “PMs are constantly doing negotiations, especially around product trade-offs,” Tim says. “A major accounts manager may want to see a certain feature in a product, but adding it will mean the product won’t ship on time, or the engineering team might want to make part of the code more robust and stable, but that won’t necessarily produce more revenue. So a huge responsibility of PMs is to negotiate these trade-offs. Look for courses that will strengthen your ability to build cooperation and achieve strategy-supporting outcomes, such as Berkeley MBA Program classes in Negotiations and Conflict Resolution, Game Theory, and Power and Politics in Organizations. You may not be translating history into hip-hop, but you do need to know how to weave a compelling narrative. 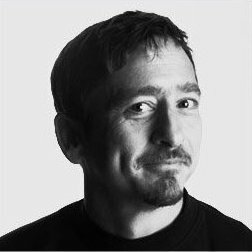 “PMs are frequently telling the story of a product to both internal and external audiences,” says Tim. For example, they may explain a customer’s workflow and goals to the engineering and design teams, help the product support team understand a new feature, or describe the problems the product solves during interviews with industry analysts or reporters. Look for classes that will strengthen your presence and your ability to build trust and be persuasive. Berkeley-Haas classes that support this product management skill include Leadership Communications and Storytelling for Leadership. Quantitative skills are also required. “Product managers need to analyze trends and project how the product is going to be adopted and grow over time,” Tim says. Recruiters are now asking that PMs be knowledgeable about SQL, so they can pull data and do analysis without depending on others for help. It helps to think like an entrepreneur. Some companies, like Google, prefer PMs with entrepreneurial instincts, who can research and pitch their own product ideas, according to Tim. Even if you're at a firm with more of more of a top-down, programmatic approach to creating products, you'll need a strong sense of ownership. MBA entrepreneurship courses can equip you with skills that help you with everything from recognizing opportunities to running an enterprise. Courses on entrepreneurship at Berkeley-Haas include Innovation Strategies for Emerging Technologies, The Lean Launchpad, and Business Model Innovation. Tim also advises students to use their MBA internships to gain specific experience they can later point out to recruiters, for example, creating product roadmaps or prioritizing product features. But whether students are talking to alumni or recruiters for PM internships or full-time jobs, it’s especially important to demonstrate a genuine interest in the particular company’s products and/or customers. Tim suggests tailoring MBA class projects to a specific area of interest whenever possible. Read more about how Berkeley MBA studies have helped people become product managers at Amazon, GoodHire, SlingMedia, Twitter, and @Walmart Labs. You'll find curriculum and connections relevant to a career in product management in all three of our MBA programs. Compare our programs to learn more about the Berkeley MBA. For many, being a program officer at the Bill and Melinda Gates Foundation sounds like a dream job. And for Karin Lion, EMBA 15, it was – for eight years. As an associate program officer at the Seattle-based foundation, Karin worked in such diverse areas as agriculture, urban development, water, sanitation, and hygiene, emergency response, global libraries, and family interest. She played multiple roles on multiple teams – developing program and donor strategies, creating budgets, managing implementation, and evaluating impact. She hoped to advance within the organization to higher levels of managerial and decision-making responsibilities that would change the direction of the work, and that’s what motivated her to pursue her Berkeley Executive MBA. But once she received her degree, Karin realized that she’d hit a wall at Gates. She wanted to become more of a decision-maker with a better perspective on the ultimate impact of programs but, even with her advanced degrees, there wasn’t a clear route to advancement within the organization. Fortunately, using her MBA as a path to more meaningful work, Karin was prepared to jump. 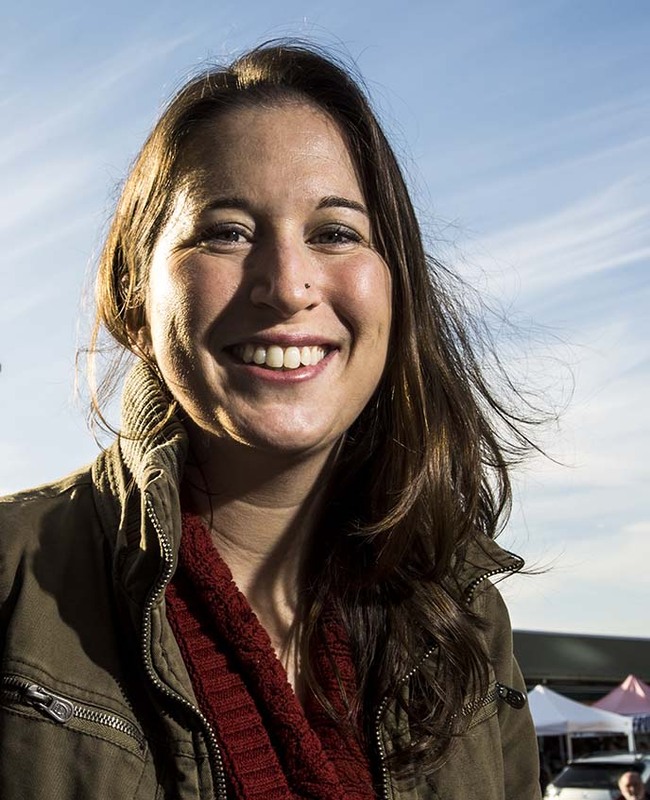 She landed back in San Francisco to begin a new role as director of global agricultural strategy for Digital Green – a nonprofit international development organization. 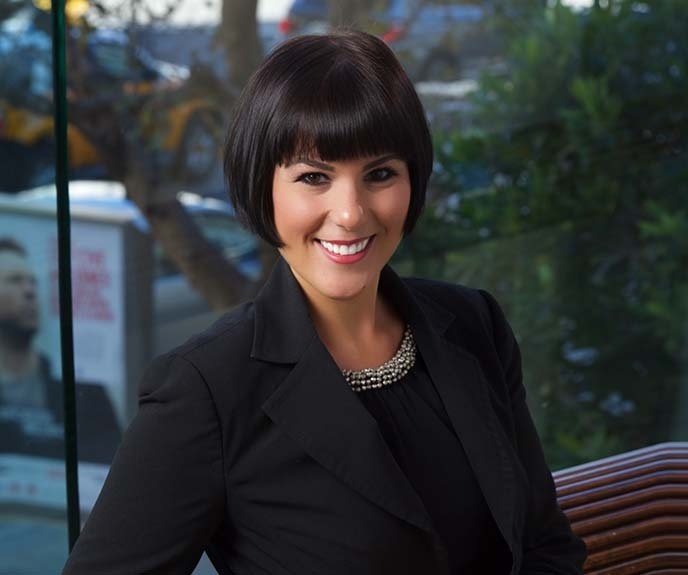 Karin enthusiastically credits her Berkeley EMBA experience with her ability to choose more gratifying work. Looking back, she appreciates the framework the EMBA curriculum provided, which helped her to understand how she thinks, designs, strategizes, and presents her thoughts. Are you considering what meaningful work means to you? Get our free ebook with five steps toward making your next career move. 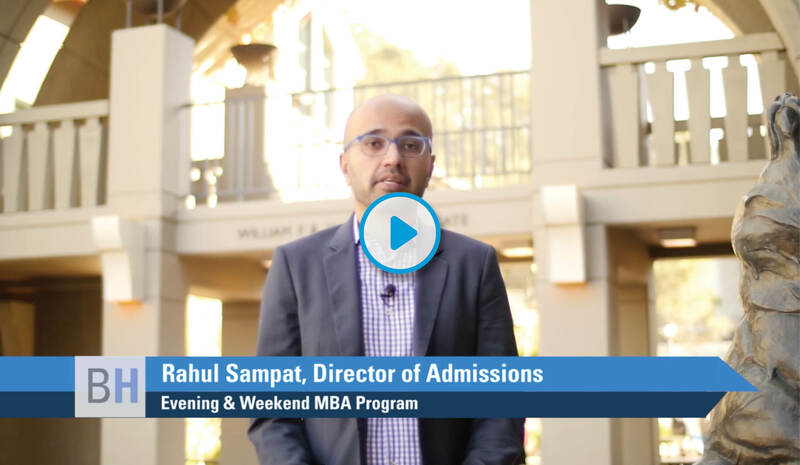 FROM The Berkeley EWMBA Blog: Video: Which Berkeley MBA Program is Right for You? Choosing an MBA program is, in part, about finding the peer group and the program format that works best for you. To learn more, we invite you to compare our programs. If you've ever considered enrolling in an MBA program, you may have pictured yourself getting promoted to a prominent new position at your current company or transferring to an innovative startup after graduation, but have you ever thought about launching your own venture? One of the things that a lot of successful new startups have in common is that they are the product of MBA entrepreneurship, founded by students who didn't necessarily even plan on embarking on an entrepreneurial career—until they got to business school. Berkeley-Haas students, for example, often find themselves positioned to add entrepreneurship to future career options. They learn business and management fundamentals from one of the world’s leading schools for the study of entrepreneurship. They gain strength and inspiration from the network and support system available through Berkeley MBA programs. And they begin to realize that they don't have to wait for other people to start the perfect business--they can start it themselves. As a student in the evening and weekend MBA program, Shuai Jiang found himself faced with a real-world problem: the hassle that comes along with the home delivery of online purchases. He began thinking about ways to receive, track, return, and manage packages. 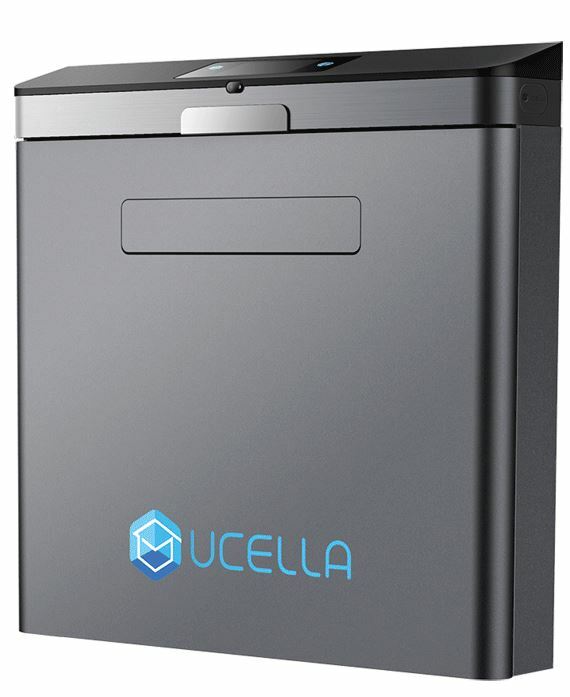 Shuai combined his ideas with what he learned through the MBA curriculum, enlisted the help of fellow students, founded Enchantin Inc., and created the uCella smart mailbox. Students in the Berkeley executive MBA program also acquire invaluable startup knowledge from the curriculum and experiential opportunities. Stewart Wells, for example, used what he learned in his EMBA classes to launch California Artesian, a company that sells artesian water, sourced from a 7,000-foot elevation in the Sierra Nevada, to markets in California and Asia. "Three instrumental classes were Finance, which allowed me to change my business model and estimate cash flow; Marketing, which gave me incredible insight into consumer preferences; and Strategy, where I assessed and dissected the competition," says Stewart. Additional opportunities, such as the EMBA program's Silicon Valley Immersion Week, which combines visits to companies like Google, Facebook, and Airbnb with face-to-face interactions with company founders, also provided pivotal experiences for Stewart. When Emily Yao arrived at Haas to study in the full-time MBA program, she set her sights on solving an age-old problem: getting children to eat their vegetables. She combined expertise in human behavior, a passion for art, and her new-found business skills to launch Planet Murple. A former behavioral/cultural change strategist for IBM, Emily met her co-founder, former elementary school teacher Dave Resnick, in Eat. Think. Design., an interdisciplinary innovation course for UC Berkeley graduate students who want to improve the food system. “Over 90 percent of kids don’t eat the recommended amount of vegetables," says Emily. The solution? 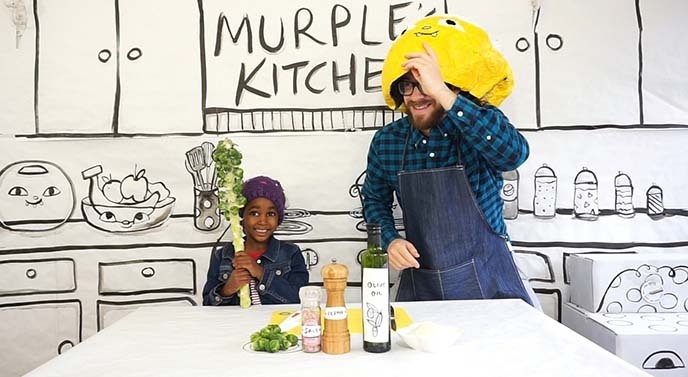 A creative app using colorful stop-motion videos (pictured above) and interactive recipes to encourage children to prepare and eat nutritious food. 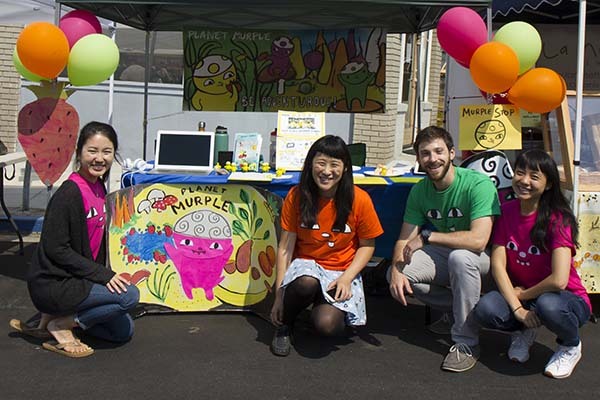 Planet Murple quickly raised nearly $9,000 through Indiegogo, received additional support from the Berkeley-Haas Dean’s Startup Seed Fund, and was a regional finalist in the 2016 Global Social Venture Competition. Is MBA entrepreneurship in your future? Download our free ebook to find out if the time is now. FROM The Berkeley EWMBA Blog: Am I Ready for an MBA if I Don't Have a Business Background? It's a question that every potential applicant needs to ask. There are circumstances that could stop you from applying to business school, but one thing that shouldn't hold you back is the fact that you see yourself as a non-traditional business school applicant. Business schools, and the people who attend them, need and value diverse perspectives. More than 75 percent of the students entering the Full-time Berkeley MBA Program in fall 2016 majored in engineering, natural science, social science and other non-business fields in college. Students in the Berkeley MBA for Executives and Evening & Weekend MBA Programs are similarly diverse: many have work experience in industries like technology, banking, health services, retail—and everything in between. Berkeley MBA applicants have just one major thing in common: they want to be empowered to have a greater impact on something they care about. 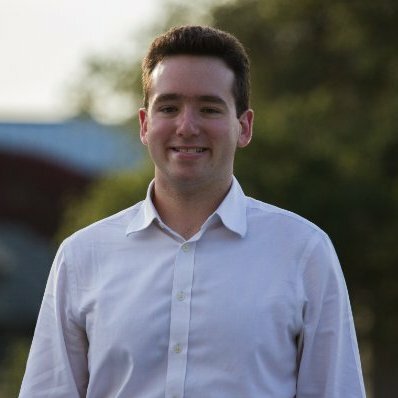 Maxwell Kushner-Lenhoff is a full-time MBA student at Berkeley-Haas. He received a BS/MS in inorganic chemistry through an accelerated four-year program at Yale. His research, in renewable fuels production, was funded by the Department of Energy. Maxwell applied to Berkeley-Haas with the goal of supplementing his scientific training with the business mainstays that so often make or break a technology's success. The diverse backgrounds of his classmates have helped to enhance his experience. "The sheer diversity of talent (from philosophy to engineering) and of backgrounds (from Boston to Bangladesh) have broadened my experience by driving me to consider perspectives I've never faced before," says Maxwell. From the very beginning of his scientific career, Maxwell has directed his research toward making chemistry work for humanity, and the MBA program is helping him continue on that path. "Today, just over one year after submitting my essay during round one, I have come into my own at Berkeley, as the Haas Center for Responsible Business Fellow, VP of Development for the Berkeley Energy Resources Collaborative (BERC) and a member of the executive team of LAUNCH, the UC Berkeley Startup Accelerator. I could not be happier with my choice to come here!" As an undergraduate student, Amelia Kusar majored in classical music performance, playing both the clarinet and the bass clarinet. She interned at Lincoln Center and fell in love with the administrative side of the business. Amelia knew that she didn't want to be a professional musician but that she did want to stay in the arts and make a difference. She decided as an undergraduate that she wanted to pursue an MBA because of the well-rounded curriculum. 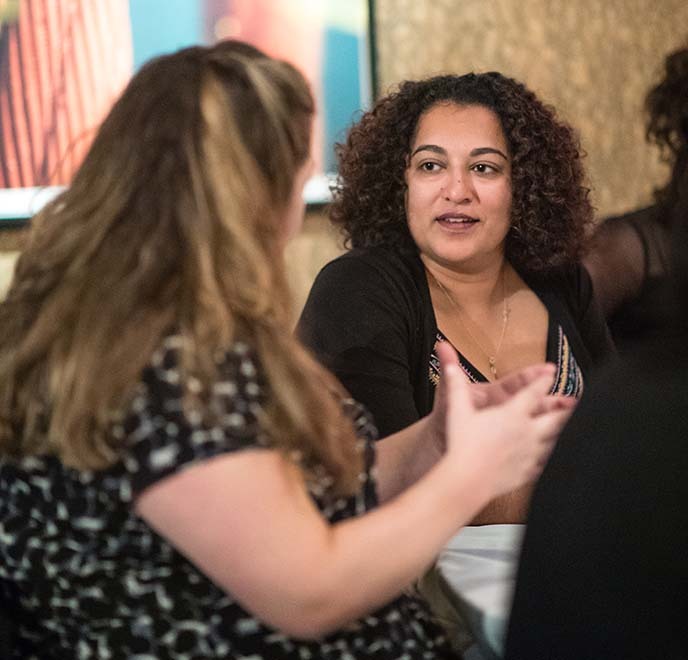 "The other thing that really excited me about the thought of getting an MBA was being in a room with people who were different than me, who had completely different experiences, because I could learn from that," says Amelia. "In the arts, there's really a lot we can learn from for-profit organizations that are different from us. It's something I become more and more convinced of every day as I move through the Evening & Weekend Berkeley MBA program." For those who think they may be non-traditional MBA applicants, there’s no reason to assume that keeping up with classmates will be too much of a challenge. Non-traditional students make up a large portion of the MBA class. "When I talk to people from other non-traditional backgrounds, their main concern is, 'I'm not going to be able to hack it in business school, I'm going to be so behind and all of these people are going to be so much smarter than me,' and the long and short of it is that it is absolutely not true," says Amelia. "I remember being shocked that I was on a level playing field with people in the class. My classmates might be engineers, or they might be in finance, but the subjects that we're learning in business school aren't their specialty either, so we are very much on a level playing field." An MBA can make you stronger regardless of your background. Find out if you're ready with our free ebook: Five Signs You're Ready for an MBA. Want to be truly versatile? A two-year study that looked at the career paths of more than 2,000 of the country's top executive leaders found that half of them had rounded out corporate experience with work in the nonprofit or public sectors—or vice versa. 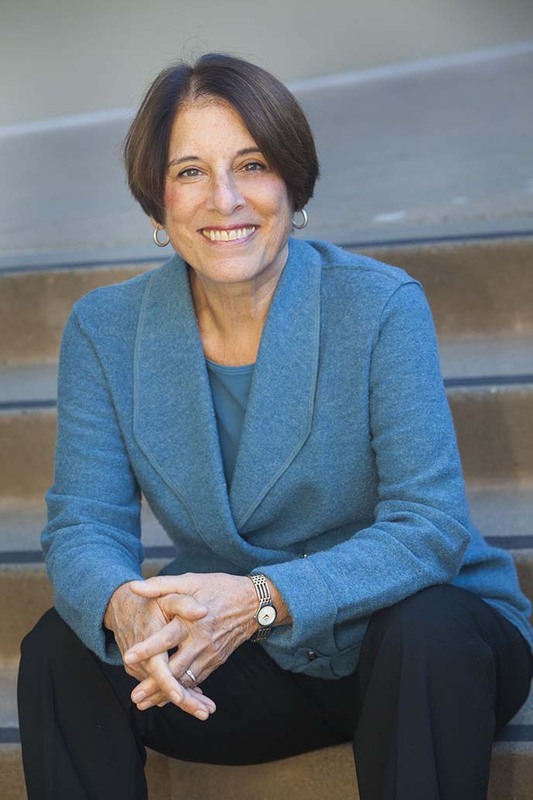 In this Q&A, study co-author and Berkeley-Haas Professor Nora Silver, faculty director of the Center for Social Sector Leadership at Berkeley-Haas, discusses the importance and benefits of this cross-sector experience, along with some steps that rising leaders can take to build a multi-sector career. How does cross-sector experience help career development? Building upon experience in one sector with work in another exposes you to a new set of factors that potentially impact your industry or organization. Broadening your knowledge in this way makes you more valuable. Another benefit is that when you work with constituencies and peers in another sector, you get better at communicating with a wider range of people. Gaining experience across sectors also helps you develop diverse networks that create professional opportunities you wouldn’t otherwise have. What are the personal and professional benefits of gaining experience across corporate, public, and nonprofit sectors? Cross-sector affiliations can lead you to clarify your personal priorities, resulting in greater fulfillment at work. Many leaders we spoke with said how much they loved what they were doing and how they felt they were making a difference. Changing sectors also engages you in continuous learning, increasingly important in today's workforce. 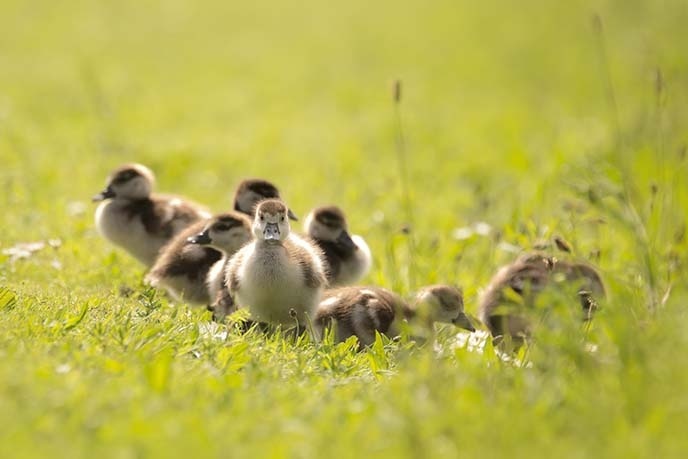 We had one leader from the financial field who, because he sat on the boards of different kinds of nonprofits, learned more about what his clients on the financial side valued and thus was a more effective leader in both spheres. 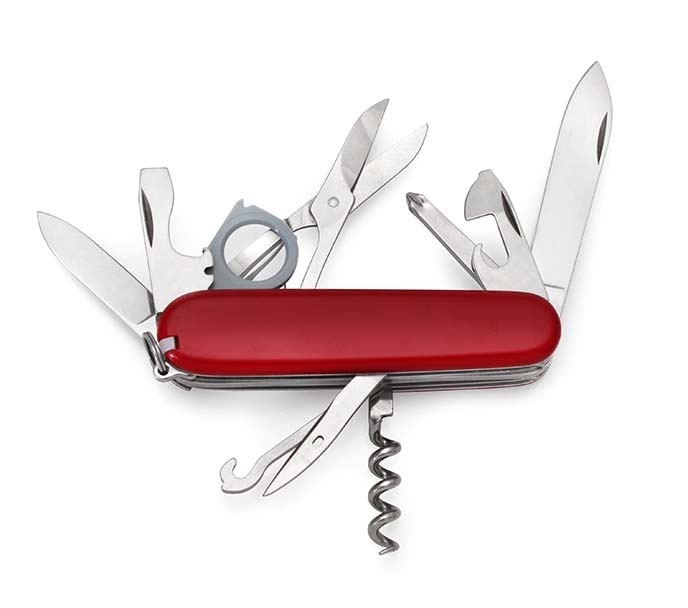 How do organizations benefit from leaders with multi-sector experience? Having a diverse range of experience allows you to bring thinking and ideas from one sphere to another, applying nontraditional approaches to solving problems in each. And by having access to a broader pool of workers, you can help your organization recruit talented employees. What are potential tradeoffs of building a cross-sector career? There can be financial costs if you choose to forgo a high corporate salary to work in other sectors, such as nonprofits, and there can be time costs if you add to your experience by serving on a nonprofit or corporate board. Also, you won’t develop the same depth of knowledge about one particular industry or role, as someone who remains in that sector. How do you build a cross-sector career? Start early and explore. Great career outcomes don’t start at age 50; they begin at 25. Also, begin to build networks in very different ecosystems. This will help you increase future career opportunities. Make sure you get involved with ideas and organizations you are passionate about. This is important due to the time cost. You also need to look not just for new opportunities, but for unusual ones. 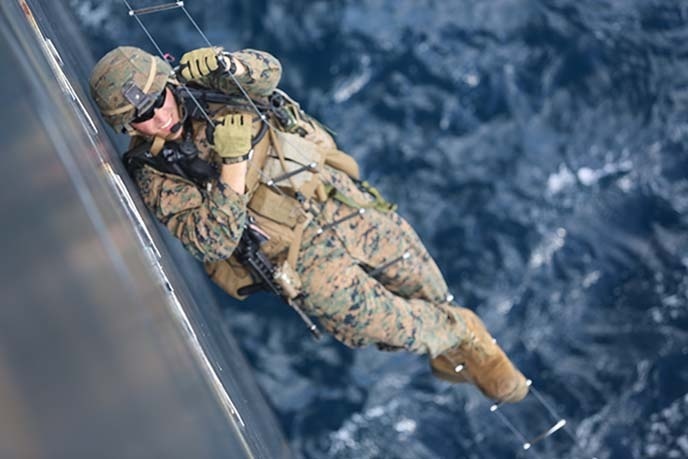 Cross-sector executives tend to see something on the radar that is a little out of their comfort zone, that is a little different, or that takes some effort, as an opportunity, not a burden. That makes them better leaders. For more fresh insights and ideas from Berkeley-Haas, see our faculty research news. Procuring letters of recommendation can feel like one of the more daunting parts of the MBA application process—but it doesn't have to be. To learn more, see admissions pages for our Evening & Weekend MBA and MBA for Executives Programs, or take an at-a-glance look at our three MBA programs. 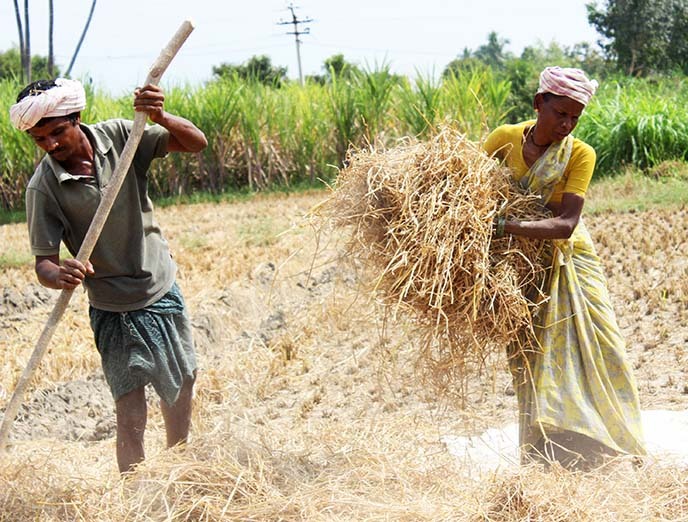 Pursuing a social impact career takes drive. It takes commitment. It takes passion. It also takes support and resources—both of which you'll find in Berkeley MBA Programs. At Berkeley-Haas, our values, including Beyond Yourself and Question the Status Quo, reflect not only the principles we hold today, but the rich history of our campus and student body. One way we live those values is through a rich array of course offerings, talented faculty, and immersive experiences that can help you build a path toward a social impact MBA—and a more just and sustainable world. With major research centers, including the Institute for Business & Social Impact, and the Energy Institute at Haas; the Global Social Venture Competition, the world’s longest-running competition for social and environmental startups; numerous social impact clubs; and targeted scholarships and financial aid, there is much to explore at Berkeley-Haas. 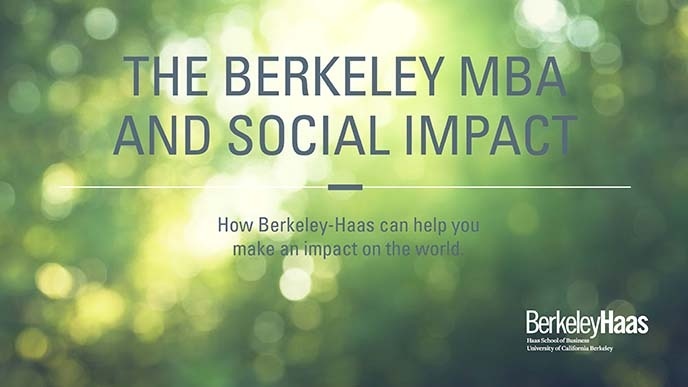 Get our free ebook to take a closer look at social impact opportunities at Haas.